Click on the document at the left to get a detailed view of the words; English translation is below. On the right are Castle Montalbano and the town of Montalbano Elonica in Sicily. 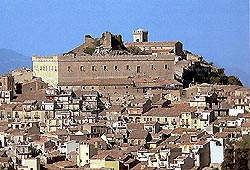 The castle is atop the hill on the left. Click on the castle or scroll down just a bit for history and points of interest . . . .
Garentita l'autenticita ni termini di articolo 186 Cod. Penale. Montalbano is located on the antique Roman and (still existing) medieval road of liaison between the Tyrrhenian and Ionic coasts of northeastern Sicily. It is 907 m above sea level and dominates the right-hand banks of the Elicona river. Its territory, located between the Peloritani and the Nebrodi mountains, on one side extends upwards, with stretches of pleasant pastureland and millennial forests (such as the natural reserve of the Malabotta forest) and, at its peak, offers tourists the incredible view of the smoking Etna volcano. On the other side, however, it sweetly declines towards the Tyrrhenian Sea, giving the spectators splendid views of the Eolie islands, of the Tindari promontory, and the point of Milazzo. The little town itself is certainly not lacking in attractions: its well preserved centre has a clearly medieval layout and develops around the magnificent castle, still practically complete and quite accessible, which was formerly the home of both Frederick the II of Sweden and Frederick the II of Aragon. Close to the castle grounds, you can find numerous places of worship, real pearls for the lovers of the History of Art. The surrounding countryside also holds places of much more ancient historical heritage, with relaxing walks or horseback rides, you can reach the Argimusco megalithic site (attributed by many to the prehistoric period), or the ancient, pre-Roman age silvo-pastoral shelters. The remains of the ancient water mills along the limpid flow of the Elicona stream (much loved by trout-fishing enthusiasts) also deserve mention. The old and genuine gastronomy of the territory, distinguished by the fragrances and flavours that have been preserved for us by the Montalbano tradition, gives fitting fulfilment to the positive and encircling atmosphere in which the guest finds himself. Historical origins of the inhabited area of Montalbano can be traced back to around the year 1000. In the Norman and the later Swabian era, the town became a property of the State. The Emperor Frederick II of Swabia gave it as a gift to his wife Costanza of Aragon, and chose it as one of his Imperial residences. 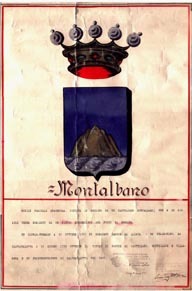 Under the King Manfredi, Montalbano was raised to the rank of a Contea (earldom). This was a particularly splendid period for the town, with a number of monuments attributed to it, such as the TORRE DEL FONDACO tower, which can be visited within the Argimusco complex. Once the Swabian period was over, Montalbano's fortunes were tied to King Frederick II of Aragon, who was responsible, amongst other things, for the realisation, on the pre-existent foundations, of the renewed CASTELLO (castle). The old Swabian castle walls became the wall of the facade of the new castle-palace, and the fortress of Montalbano is today, in Sicily, the only royal palace still remaining from the thirteen hundreds. The Aragonese sovereign was to stay often at Montalbano during his transferrals to Palermo, in the company of his own personal doctor, Arnaldo di Villanova. These healthy stopovers seemed, to the monarch, to be an excellent remedy for his gout which could (according to Arnaldo) be cured by the "medicamentosa" waters of the FONTE (spring) DEL TIRONE (which may, still today, be visited). 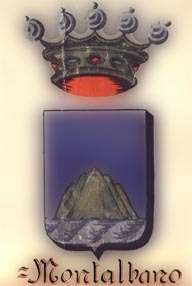 Upon King Frederick's death, the domain of Montalbano was passed over to his son, the Duke of Randazzo, to then become the feudal patrimony of the Bonanno Colonna family. And so it remained until the end of the XVIIth century. In the meantime, although the urban layout of the town remained unaltered, some buildings in the centre of the town had taken on the fascinating elegance of Sicilian baroque. Take a look at agility of the PORTALE BALLARINO, as well as the numerous other portals of the buildings of nobility which are still visible today. The CHIESA MADRE, also, has not been immune to restorations precedent to, contemporary to and following the Baroque era (and it has been enriched by the works of such artists as Gagini and the Caravaggio-influenced Ponce de Leon). Returning to its history, in the first years of the 1800?s, Montalbano was passed to the Jesuits, and remained in their hands until 1860, or rather, until it became property of the State. The last marker was, in the finally unified Italy, its constitution as a Comune (municipality).